While there are a whole bunch of health insurance mutual funds that are part of the “Equity Healthcare Mutual” sector if you are looking for an investment, there is no health insurance company named “Equity Mutual Health.” There is also a health insurance company named “Mutual Health Ltd.” in the United Kingdom, but they do not administer health insurance policies in the United States. Perhaps you meant the Mutual Insurance Company of Arizona? Get health insurance quotes quickly and easily by typing your zip code into the box below. Mutual Insurance Company of Arizona (MICA) has an excellent “A” financial strength rating from A.M. Best. Best also labeled the insurance company “stable,” which means they expect Mutual Insurance Company of Arizona to continue to be committed to their business, paying insurance claims as requested. Mutual Insurance Company of Arizona sells only medical professional liability insurance policies, and has been doing so for 35 years. Instead of reporting to stockholders, MICA is owned by its members, who are also eligible for dividends from the company. Policies for individuals and physician groups are written as a reporting policy form for claims-made coverage. This means that the company encourages customers to report every incident and, only if necessary, the incident will be escalated to a claim. Coverage is provided for liability, peer review, defense costs, supplementary payments, and discretionary medical payments. Mutual Insurance Company of Arizona was founded in 1976 to help doctors and other medical practitioners buy medical liability insurance. Medical liability insurance protects people who work in the medical field from lawsuits. Otherwise, if doctors did not have this coverage, they would either stop practicing medicine or move to a state that offered the liability insurance. In addition, medical practitioners need to show medical liability coverage before they are given hospital privileges or allowed to contract with health insurance providers. MICA policies are available to medical practitioners in Arizona, Colorado, and Utah. If you live in one of these states and would like to request a quote, you can use their Web form. You can purchase medical liability insurance as an individual, group, or facility. MICA customers seem happy with the company. 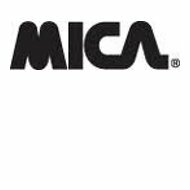 The Better Business Bureau has given MICA an A+ rating and the company has zero complaints registered with the BBB in the last three years. Additionally, an Internet search of reviews for the company turned up nothing. Mutual Insurance Company of Arizona lists its current job openings on its website.. The company does not accept unsolicited applications and any direct application must include a resume. All job applications need to be mailed to the company, as applications sent through MICA’s website will not be considered. Unlike most companies who make it very hard to find contact information for their executive level staff, Mutual Insurance Company of Arizona readily supplies its CEO’s contact information on its website. The company prides itself on serving customers from the top down, and invites customers to email MICA’s CEO directly at [email protected]. Although Mutual Insurance Company of Arizona does not provide its CEO’s direct phone number, it does provide many other phone numbers that will help you get your questions answered. Whether you are a doctor or a plumber, you should have health insurance coverage. Type your ZIP into the box on this page to get health insurance quotes.